Our first show of 2019! With Dark Buddha Rising, Wayfarer and Kalloused at Nambucca, London on the 7th of April. We’re back in Nottingham in October with Blind Monarch, The Grey and Lindow Moss! Our Plymouth gig in December has been moved to The Underground. We're back in London on the 22nd of September at the Bridgehouse 2 with Absinthropy and Nonserviam. Gig details on Facebook, ticket link to follow. First show announcement for 2018! 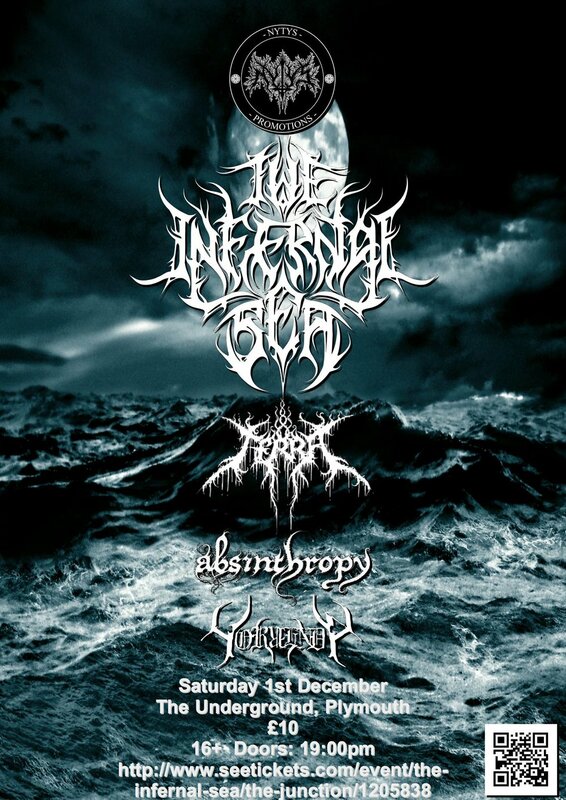 One for the diary as we play The Junction in Plymouth with The Infernal Sea. Another November show and our first in Birmingham, we're joined by Novos and Shadowburn at The Hammer & The Anvil on the 23rd courtesy of Subterranian Promotions. This October we're back at one of the more awe inspiring venues we've played, The Colchester Arts Centre with Akercocke and Hecate Enthroned, it's spectacular stained glass will provide a suitably impressive backdrop for this lineup. We will be playing our first hometown headlining show with the awesome Space Witch in August, tickets can be purchased from the Belligerent promotions bandcamp page more bands to be confirmed soon!